Creamy goat cheese has become one of my favorite salad additions. This delicious salad is easy to throw together but is fancy enough for company. 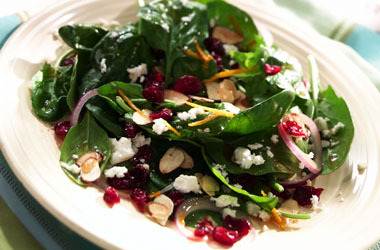 Dovetailing Tip: Pull out the spinach you washed at Meal 1 to add to the salad.